- what gives me the best chance of achieving my goals? 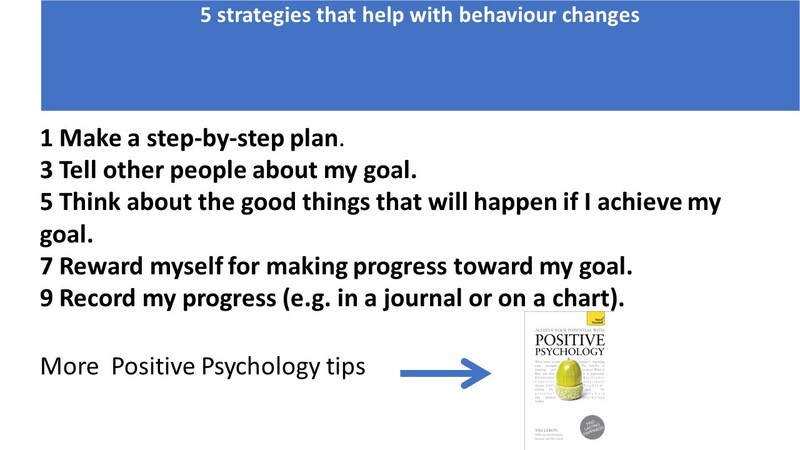 Psychologist Richard Wiseman reviewed 10 common strategies and discovered these were the only 5 that worked. I talked about which research-based tips work and which do not for 3 minutes, starting at 12 minutes in the clip below. Often these research-based tips will be enough for you to achieve your goals this year. But sometimes they won't, especially if unhelpful life rules or assumptions or difficult emotions get in the way. In these cases Cognitive Behavioural Therapy (CBT) can be the difference that makes the difference,. 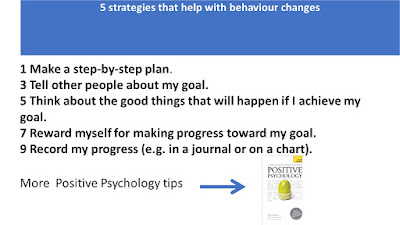 Positive Psychology gives you evidence-based strategies. CBT helps you overcome emotional obstacles. But how do you develop the right habits that will mean you continue moving in the right direction once the goals are achieved? And what can help you focus on important and morally significant goals rather than trivial ones? 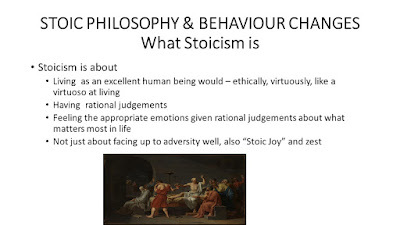 Over to philosophy and specifically Stoicism, an ancient philosophy experiencing a twenty-first century renaissance. 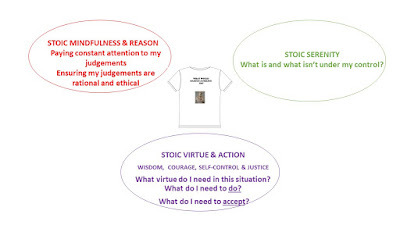 Stoicism can be simplified into 3 life-changing ideas. 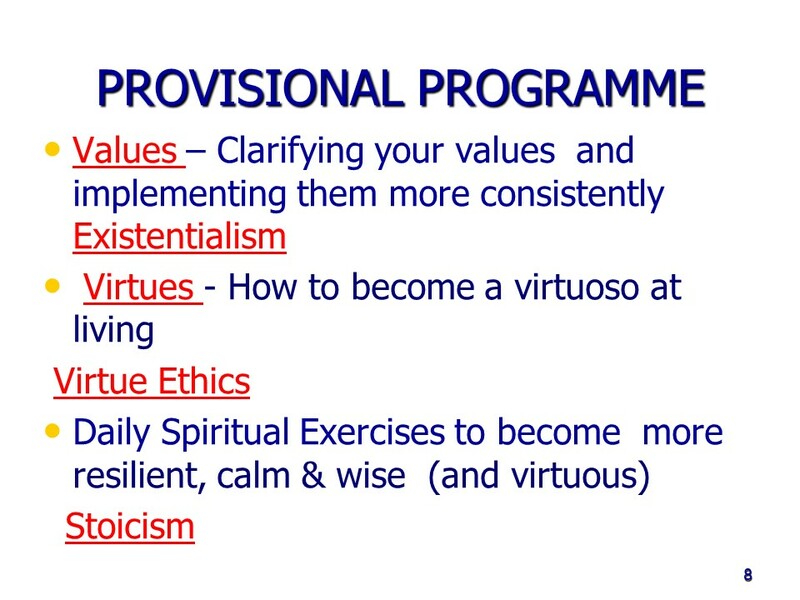 To hear more about how Stoicism can help you achieve your goals and give you a helpful life Philosophy, skip to the hour mark in my Weekend University talk and watch it until the end. You can download the pdf of the Weekend University presentation here. 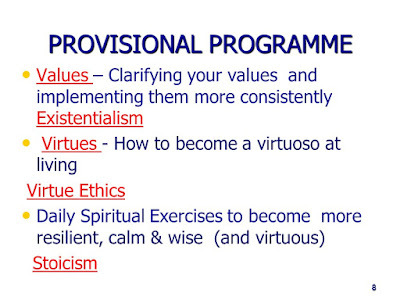 I'm running my annual Philosophical Life Coaching in Central London on Saturday Feb 2nd. Cost £59 for whole day course. 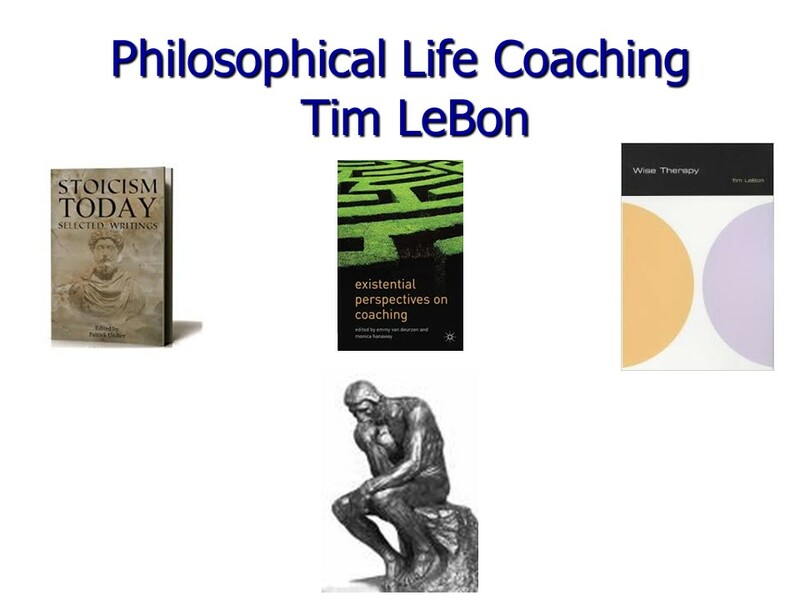 Philosophical life coaching helps you lead a more satisfying and meaningful life by using insights and methods from the great thinkers. This introductory workshop will show you some of the most interesting ways it can be of help. No previous experience required. It's Groundhog Day on Feb 2nd, so we may just look at a philosophically insightful clip from that classic. Many New Year's resolutions go completely against goal-setting wisdom. Goals should be are specific, measurable, achievable, relevant, timebound and positive - not NUTS! No wonder so many resolutions fail before the Xmas decorations are taken down. There's another reason why so many New Year's resolutions fail. We often commit to something we feel we ought to do rather than what we would genuinely find inspiring. Today I'm going to share the process to set my own goals each year. It works much better than New Year's resolutions. Imagine it's the end of 2019. What would you be saying about what has happened that makes you so happy about 2019? You will probably find it helpful to think of various areas of life so you get a balanced set of goals. Pick a few of these areas that are most meaningful for you. Say out loud or jot down some goals for each area of interest. Finally, make sure these are good, well-formed goals by asking these questions. Have I got sufficient control over its outcome? How can I work towards this goal? If you follow this procedure your goals will be BIG - balanced, inspiring and good. Here's an example of how someone, let's call her Sue, moves from fairly thoughtless and hopeless New Year's resolutions, with little chance of success to much more inspiring and achievable BIG goals. Initially, Sue makes New Year's resolution to lose weight, cut out red meat and go to the gym. Her friends are making similar resolutions, it what the magazines say she should do. But they don't inspire her, she doesn't really feel very committed to them and they aren't actually very likely to succeed. When she reflects on these, she feels much more inspired than she did thinking about losing weight and eating healthily. These new goals reflect the sort of person Sue wants to be, they reflect her values. Next, Sue checks to see if they are BIG - balanced, inspiring and good goals. Next, Sue considers whether her goals are inspiring. Yes they are, since they came out of the "what would you like to be able to say at the end of the year" question, they are bound to be. Finally, Sue asks whether they are good, well-formed goals. They aren't bad, but they could be even better. She works out how to make each goal more specific - for example "being a good parent" becomes "listening to my children and considering their viewpoint whilst also maintaining good boundaries"
and "spend lots of good time with my friends" becomes "arrange at least one outing a week with friends"
Sue has already framed them in a way which means she has a lot of control over most of the goals though she admits she doesn't know how to control her anger better. She decides to ask a friend if they can recommend a book, therapist of life coach that might help with this one. Finally sue reflects on how she can work towards the goals . She decides to write them down and put them on the fridge to remind her of the goals and to check her progress at the beginning of the month. To keep the momentum up, she shares all the goals with her family. It needn't take you very long to set BIG inspiring goals for this year. You might even consider sharing some of them in the comments section. It will save you reneging on those nutty New Year's resolutions. More importantly, it may help make 2019 be a year to remember. Today I'm sharing with you the books relevant to the themes of this blog that I've enjoyed most in 2018. As you can see, my first recommendation was first published a very long time ago though its included in this list because I read it properly for the first time in 2018. 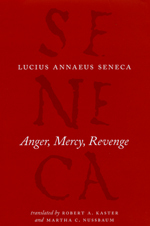 Seneca argues that anger is very dangerous and we should make great efforts to curb it. This is not a particularly trendy view . "The sword of justice is ill-placed in the hands of an angry man" encapsulates one key point - you can't trust anger. Do the right thing, but do it without anger contaminating your view. Seneca also helpfully distinguishes the 3 stages of anger and provides a whole host of practical ideas that in effect constitutes a therapy of anger management. 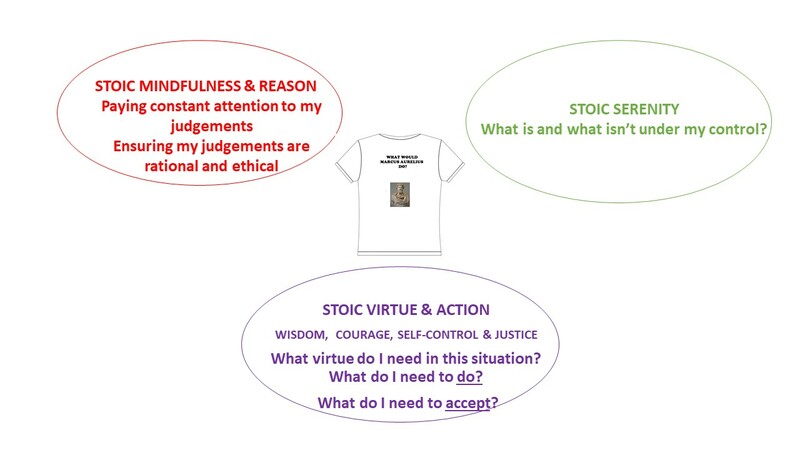 And here is a tongue-in-cheek quiz to find out how Stoic you are in managing anger. This is a book I had on my bookshelf since its publication in 2011, but I only got round to reading it properly in 2018. I say reading, but like many books I have "read" this year, in fact I listened to it on audible whilst jogging or driving. 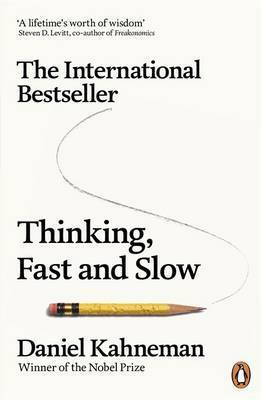 This fact is entirely appropriate, since a major thesis of Thinking Fast and Slow is that "System 1", the fast, emotional and instinctive part of us makes a lot of our decisions - and system 1 definitely prefers listening to a book to reading it. The moral of this intelligent, well-written book is to use both systems. We need system 1 to help us navigate through life on auto-pilot - but we really shouldn't rely on it for important decisions, and we should be wary of the many traps described in this book that we are liable to fall into. 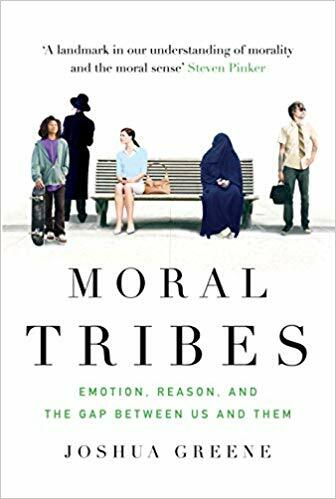 Joshua Greene applies some of the ideas of Thinking Fast and Slow to ethics in his 2014 book, Moral Tribes. Greene argues that moral disputes happen because different "tribes" have intuitions, arising from their System 1 (which Greene calls "automatic") For example, for one group it is obvious that abortion is wrong, for others it is equally obvious that a woman has a right to choose. This is what Greene labels the tragedy of common sense morality. You aren't going to get these people in different "tribes" to agree, because their automatic intuitions are telling them that the other tribe have it all wrong. In an argument reminiscent of the Oxford philosopher R.M. Hare's book Moral Thinking, Greene argues that the answer is to derive a logical system of morality using System 2. Furthermore, Greene argues that such a system will be utilitarianism. Greene won't convince everyone, but in these troubled times dont we need to consider ways of understanding conflict that takes us beyond "us and them"? 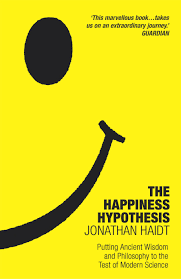 Jonathan Haidt's 2006 book, The Happiness Hypothesis is well known for introducing the metaphor of the elephant and the rider. We (the thinking, rational part of each of us) think we are in control. We know there is a part of us that wants to eat too much, sleep with inappropriate people and not do any exercise, but, so we try to convince ourselves, with just a bit more willpower we can avoid all these things Plato thought as much when he gave us his metaphor of the charioteer (reason) controlling the dark horse (appetite) and the white horse (spirit). Haidt thinks Plato is kidding himself. If the elephant wants something, it will get its way. The rider just isnt strong enough to resist. To be happy we need to tame and train the elephant. He argues that three tools -meditation, CBT and pharmacology - can all help . His book is rich and entertaining journey through ancient philosophy and modern science. The VIA Character Strengths Inventory has long been known to be one of the most helpful tools of Positive Psychology. Now Niemiec, head of the VIA Institute, has written a detailed guide to tell us how to make the most of our own strengths. 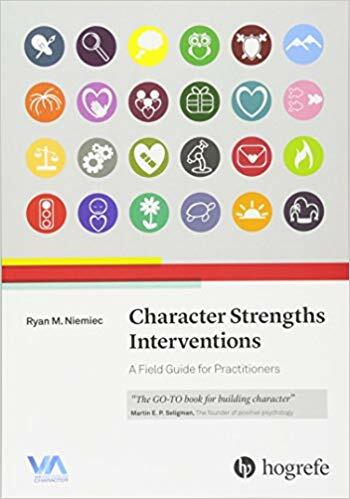 This is some undertaking, as there are 24 character strengths to consider and many traps to avoid, such as overuse or misuse of strengths. Niemiec takes us well beyond the simple "just find your top strength and apply it more" prescription. His book is an important book for life coaches and and indeed interested in the empirical study of virtue. 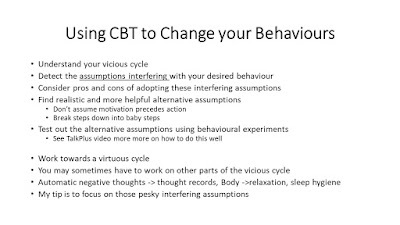 • Consolidating your CBT practice. 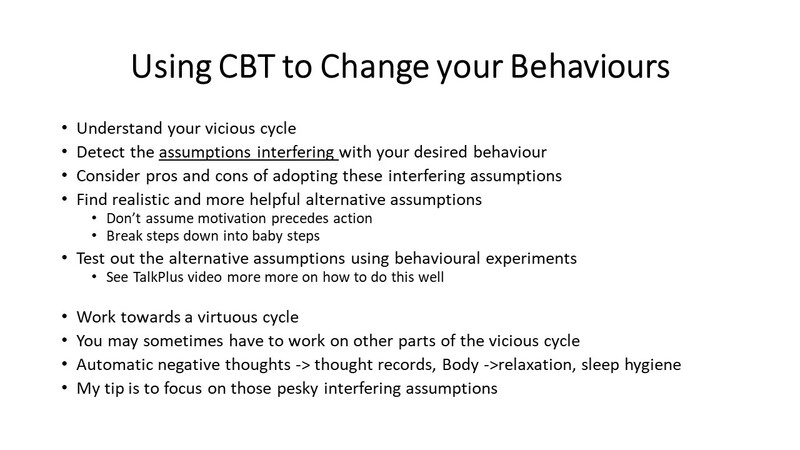 I have been teaching CBT for over 20 years and also provide supervision for CBT practitioners. I regularly practice CBT in the NHS and in private practice and am a BABCP accredited CBT therapist. I am enthusiastic about CBT and particularly enjoy helping counsellors new to CBT to learn more about it. Location: Keeley Street,Central London, near Convent Garden & Holborn. Here are all the courses I am currently set to offer in 2019. Today I am going to share with you an idea that will help you get the most out of people. So – are you completely happy with how you interact with everyone in your family and at work? Is there any scope for improvement? If so, here’s an true story which I still find rather enlightening. Years ago I worked with someone, let’s call him Tom, who was in most ways a really nice guy - except for one thing. Obviously, after a day or two, Tom was bottom of the league table, Once his lowly league position was brought to Tom’s attention, a dramatic change took place. Whereas before it had seemed as if Tom knew neither the location of the kitchen or the tea tray, now he and the tray were seldom parted. Tom made two or three rounds every day and before long he leapt to the top of the tea-makers table. A key question. What do you think was Tom’s dominant strength? You guessed it, Competitiveness. If his strength had been leadership, we could have put him in charge of finding a fair system for making tea. If it had been kindness, we could have framed making a cup of tea as a random act of kindness to brighten up his colleagues’ day. I’m sure you You get the idea. 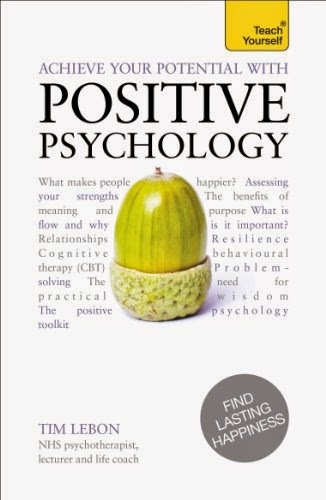 If you want to know more about strengths, have a look at Chapter 4 of my book Achieve Your Potential With Positive Psychology or visit the via website at viacharacter.org. One final thought. This absolutely is not about manipulating other people for your own benefit, its about finding solutions that work best for you and them. 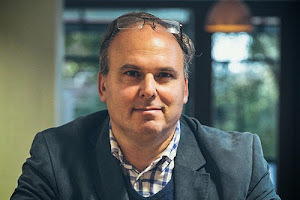 It’s about finding what the legendary self-help writer Stephen Covey called win-win solutions.Tom benefited - he enjoyed being top of the table. And we all enjoyed the tea he made. It was a win-win. So why not when spend a few minutes now thinking about the strengths of someone you interact. It could be a family member, it could be a work colleague. Then spend a moment or two thinking about their strengths. What are they good at? What are their character strengths? Which strengths energise them? Finally, reflect on how you can activate their strengths perhaps by redesigning or reframing a task. We got the most out of Tom by activating his strength. Who can you turn from villain to hero?